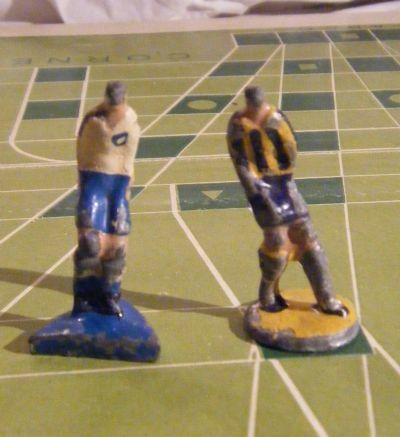 A stunning old lead figure game from Uruguay. 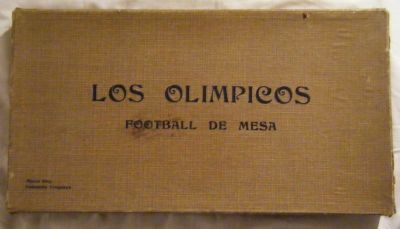 The teams appear to be Club Nacional de Football and Penarol. 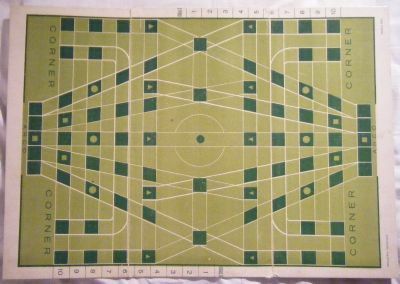 This game has probably the best pitch design ever made! Lovely heavy duty textured card box. Two very heavy lead cast teams and ball. Chipped and battered but beautiful. Glorious art deco style pitch. 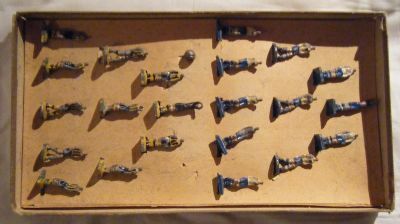 Lovely heavy duty players that must have looked stunning when new. 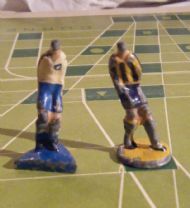 Club Nacional and Penarol. 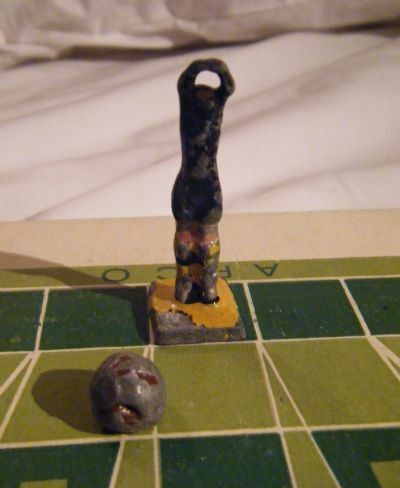 The classic south american black kit goalkeeper and a very battered match ball. Not too sure how this game works. 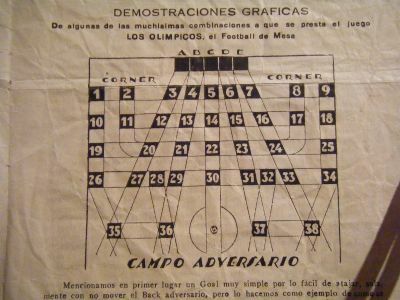 Spanish rulesheet but looks nice though!